Disclosure: This article includes affiliate links. We earn a small commission if you make any purchases from the links on this page. It helps us to maintain the blog and continue creating more awesome content. Make no mistake. Trying to learn a Paradox game may seem as intimidating as learning quadratic equations. For the complete green-eared Paradox and strategy game virgin, diving into one can seem like a monumental task. But take a moment, put down that controller, and read this beginner’s guide to Paradox grand strategy games and I promise, it’ll be as easy as... calculus. All of Paradox Interactive’s grand strategy games share some things in common but are wildly different games. What makes Paradox’s titles different from other grand strategy games is that each and every one of them run in real time. These aren’t turn-based games. You’ll be using the pause button a lot to evaluate, re-strategise, and plan your moves. Having said that, this guide doesn’t include two of Paradox Interactive’s minor titles. March of the Eagles which is a grand strategy game themed around Napoleon’s campaign. And Sengoku, a pre-Crusader Kings II character-based games that were more like a Crusader Kings II preview. I explain briefly what makes each of these games special. What makes them standout from other grand strategy games and other Paradox games. Is it for you? I try to bring some clarity into who these games would be perfect for. Hopefully with this, you’ll know if it's for you. In short, an accessibility rating. I score the games from 10 (extremely easy to learn) to 1 (balls hard difficult to learn) in how accessible they are and elaborate on just how much time you’ll need to spend learning the game to be able to enjoy playing them. I've also included some handy links to good resources to learn the game, which I'm sure you'll find helpful. Below, you’ll read and hopefully learn and understand a bit more about five of Paradox Interactive’s major titles. They are listed in no particular order. Kings, Counts, Noblemen and the Peasantry. Crusader Kings II is a grand strategy game centred around those snobbish aristocrats that ruled during the medieval era. Let’s face it, they weren’t nice people, although in Crusader Kings II, you can decide what these characters do. Backstabbing, literally getting rid of your enemies in unsavoury ways, waging wars or maybe being the nicest person in Europe. The choice is yours and the stories that come forth from it, would uniquely be yours as well. What makes Crusader Kings II different from other Paradox grand strategy games is that it puts you in control of a dynasty or family instead of a nation. Succession planning. Making sure their heir has legitimate power and is of good stock. The game never really forces any objectives unto you. What you aim to do is entirely up to you. Many find enjoyment in Crusader Kings II purely as a dynamic story-generating tool. Who cares if your one-eyed king gets imprisoned and his son becomes paranoid and hides from the world. Even though it would be super challenging if this was to happen, you’d still be having a great time simply experiencing the story. Your story. Not everyone in Crusader Kings II is a King though. Some are regular dudes and dudettes in your court. These dudes and dudettes can rise up from the ranks and become pretty powerful people. Some may eventually try to claim the throne for themselves. It all depends on how you play the diplomacy (or a lack of diplomacy) game. A game of Crusader Kings 2 often involves diplomacy, chicanery and some backstaberry (that isn’t a word that exists unless I’m referring to a fruit that likes to backstab other fruits, which I’m not). The scope here is massive! There are over 10,000 characters with their own ambitions and traits from Europe all the way to India and parts of Outer China. And each of these characters could be plotting against each other and making secret pacts to do some nasty things. It's all very Game of Thrones like. The other bits in the game such as trade and technology are more underplayed here compared to other Paradox games. They are still an important part of the game, but less involved. So, do you rule with cunning diplomacy or with an iron fist? The destiny of your dynasty is yours to create. RPG fans. 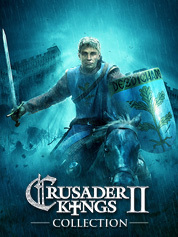 Seriously, Crusader Kings 2 has been described as the most dynamic, open-ended RPG ever made. But at its core, it's still very much a grand strategy game. If you like interesting stories, Crusader Kings 2 always manages to put out brilliant emergent stories. Like the time when my King was murder by his scheming wife and succeeded by my son who gets himself imprisoned in a war with a pretender to the throne. Yeah that wasn't a pretty story. For those unfamiliar with the medieval Europe feudal system, it takes some reading to understand terms such as Demesne and figuring out how the hell to pronounce the damn word. Also, you need to understand the role of kings and nobles, the structure of the ruling class, dukes, lords and lieges. Once you understand this, the rest of the game is not too complicated. However, if you’re looking for a good newbie’s guide for Crusader Kings II, it might be difficult to find one that’s updated. Crusader Kings II has had an insane number of expansions making any guide out there on the internet, outdated. You could watch a good Let’s Play series of Crusader Kings II by quill18 or Arumba. They are both pretty good at explaining stuff. The series that started it all for Paradox Interactive. 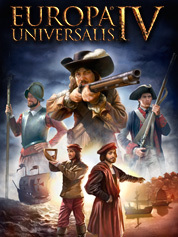 Europa Universalis IV, is the fourth instalment of this epic grand strategy game that actually put Paradox Interactive on the map, absolutely no pun intended here. You take control of a nation and guide it through the course of history, from the 15th century all the way up to the early 19th century. The series had been primarily focused on European nations even though you’ve always been able to play minor nations. This changed in Europa Universalis III. Paradox Interactive started fleshing out non-European nations such as China and Japan to make them as interesting as their European counterparts. The emphasis on major global powers continued in Europa Universalis IV. So not only can you play Austria within the Holy Roman Empire, you can also take control of one of the Japanese clans and attempt to unite Japan under one Shogun. 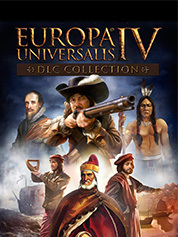 Europa Universalis IV takes place during the height of European power. From the rise of empires, the colonisation of the new world, the trade dominance of European powers to the enlightenment of its people. You could say, a whole bunch of big impactful stuff was happening around the world at the time. Which makes Europa Universalis IV a game that constantly shifts as time progresses. 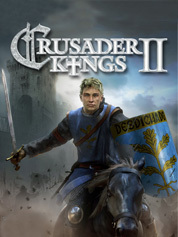 Because of this, compared to all other Paradox grand strategy game, it’s a much more multifaceted game with many different systems and mechanics connected to each other in interesting ways. The one thing that truly makes the Europa Universalis series different from all other grand strategy games, is the way you declared wars. It introduced the concept of Casus Belli, which means a case of war in latin. Declaring wars without a valid reason is heavily penalised by the game. So, in order to be able to declare war with a rival or your target for expansion, you’ll have to send in your diplomat to the region you want to grab and make him fabricate a claim (there are also events that can give you automatic claims to certain regions). If your diplomat succeeds in getting a claim (this depends on the targets espionage capacity and a few other factors), you can then finally send in your diplomat to the target country to formally declare war. This Casus Belli system is used in all Paradox grand strategy game after Europa Universalis and is one of the defining features that all of their games have in common. So, you could imagine the sheer complexities of all the systems you have to manage, bogging down your game in an endless chore of administrative tasks. This is where Europa Universalis IV stands above the previous games in the series. 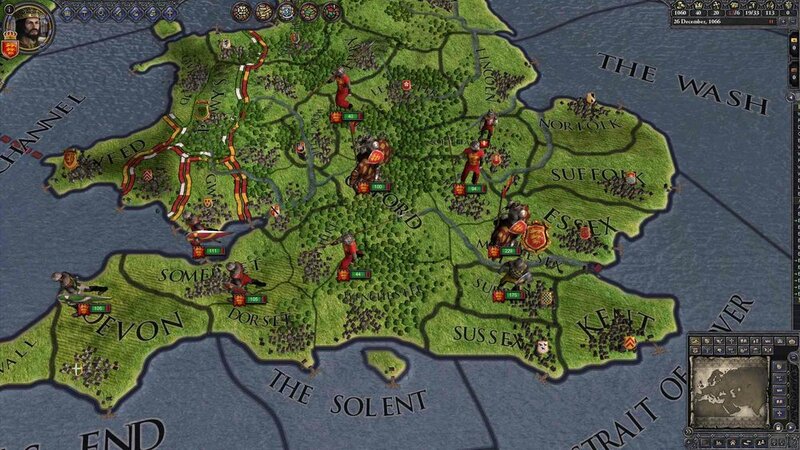 Europa Universalis IV made huge strides in the User Experience by dropping the use of sliders for a point-based system. These points are called Monarchy Points and you invest them mainly into research, diplomatic actions and other actions as well. This system gives you a much more direct and clearer idea of how you’re influencing your nations progress through history compared to the older slider-based controls which were vague. Europa Universalis IV highlights the brilliance of Paradox Interactive’s talent in developing these deep rich grand strategy game. They are really good in boiling them down to small chunks of systems that interconnect and play well with each other. For history buffs that love to develop nations or build empires. You thrive on the challenge of thinking strategically a few hundred years in advance. You like to experiment with different play styles or set directions for your selected nation. Pretty challenging to learn everything. The basics of Europa Universalis IV is relatively simple to understand. Get points, put those points into research or development, build armies, crush your neighbours or get crushed. But the layers of systems may seem daunting to new players. The trade system may seem as perplexing as quantum physics (okay, I might be exaggerating a little. Just a little) and you can’t simply just walk into a region and capture it. The game has fort system that imparts a zone of control. To capture a region within this zone of control, you’ll have to take out the region with the fort (if your eyes start rolling as you read this, this is just one of many small systems the you'll need to understand). Dozens of expansions and updates have added a tonne of new details and mechanics, it renders the manual and old strategy guides close to useless. Other than reading a guide detailing every single system and mechanic, the best way to learn Europa Universalis IV is to observe a newbie friendly let’s play and read the game’s wiki (this is a must). You’ll get to learn about the systems and see how they all work together beautifully. War is imminent! The world is at the brink of a World War. Take control of any nation during this turbulent World War II period. Shape their politics, build up your armies and supplies. Get ready for war. Hearts of Iron IV lets you realise your dream of being the commander of your nation. Every facet in the game was thought as a means to support your war plan. From the politics, production, trade and research, you have a huge amount of options to change the course of your nation and change the history of the war altogether. It’s the most wargame-like of the lot. Paradox Interactive has even included the option of displaying counters (that’s NATO symbols representing infantry, tanks etc) instead of 3D models. There’s an insane level of detail you'd expect in a wargame such as day and night cycle that affects the effectiveness of troops in battles, a seasonal weather system, and a supply system that depends on the infrastructure level of regions. Hearts of Iron IV marries the grand army movements of an operational-level wargame (these are wargames that eschew tactics for larger battle line strategery) with the strategic depth of a grand strategy game. This may all sound extremely dense and in Hearts of Iron III, it was indeed extremely dense. But the beauty of Hearts of Iron IV is that Paradox Interactive has managed to make some of the systems much more abstract. They’ve streamlined the entire game to make it much more accessible than previous Hearts of Iron games. Concepts like trade, industries and even supply is much easier to grasp than in Hearts of Iron III. One of the big feature Paradox Interactive introduced to the game is National Focus. A sort of story tree for your nation. Using National Focus, you will be setting the direction for your nation. From the political alignment, your military focus, industrial development, and even research. For instance, using National Focus, you could make India breakaway from the British Empire and become a communist regime, aligning itself with the Soviet Union. You could even begin a tank production program for tiny New Zealand that will unlock a new, unique tank model. It is the ahistorical situations that make the game interesting, rather than following the historical path. Another thing that makes Hearts of Iron IV unique from its predecessors is the brilliant battle planner. It’s one of the main reasons why Hearts of Iron IV is much more responsive and easy to get into than its predecessor. Gone is the messy and convoluted chain of command system. In its place, a simpler and more elegant system. Just create your battalion under a general and pick your frontline. Easy. The AI handles troop movement and positioning so that you don’t have to do the micromanaging. As the Supreme Commander, you have bigger things to handle, making big decisions will shift the war in different directions. Once it’s all set up, watching you virtual soldiers move towards the frontline, with tanks rolling into battle is simply glorious. The ebb and flow of warfare is represented with an advancing or receding frontline. With this simple visual cue, you could know in an instant how the war was going for you. For the more risk-taking generals, you could even attempt to encircle the enemy by flanking and capturing the regions behind them. This will suffocate the enemy from much needed supplies and they become less effective at fighting. Giving you an easier path to victory. Naval invasions and air force are a bit more complicated than your land army. They don’t operate like your army, which realistically, is to be expected. Which makes them not as straightforward to use. Takes a bit of getting used to. Hearts of Iron IV poses interesting questions to its players. Can you defend Poland from the invading German forces? It’s not impossible, players have managed to do that. Maybe you want to take control of a nation in South America and bring World War II to the American continent? The choice is yours, but do you have the strategic thinking of a general to be able to do it? War gamers, World War II history buffs, people new to wargames. Hearts of Iron IV is much more open to new audiences. Perhaps not for those who lack patience though. The build up and execution of warfare can take a while. Lots of decisions you make in the National Focus and even research won’t have an immediate impact. Little decisions tend to accumulate and make massive differences to your game later on. Be mindful about sparking a civil war when you're not ready for it. Really easy to do if you just focus on going down the national focus tree without much thought to your troop readiness. Relatively easy to learn. Hearts of Iron IV is the most accessible one in the series. The streamlining of some of the systems make the game easier to understand and learn. Although this will change a little when Paradox Interactive releases the accompanying patch with their upcoming expansion, Man The Guns, which will add fuel into the game. Fuel will add a little more complexity to the game as you’ll need to understand how your army uses it and ensure that they are supplied effectively. While it’s still relatively easy to learn, mastering warfare will require practice. Underneath the streamlined appearance, Hearts of Iron IV is still a deep grand strategy game that offers much more to those willing to put in the hours to learn it. 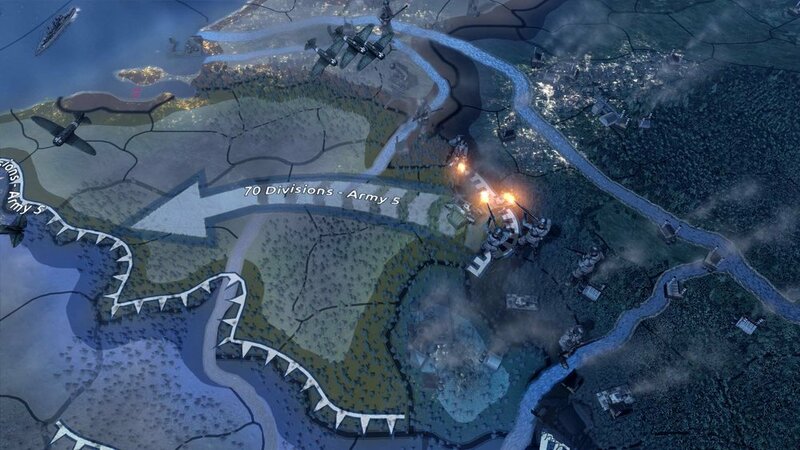 Paradox Interactive has always focused on historical grand strategy games. It’s always been their forte. That is until they released Stellaris. Inspired by 4X strategy games, Stellaris is a sort of hybrid between a Paradox grand strategy and a space-based 4X. It’s quite different from other Paradox games, yet it still shares some similarities. Just like other 4X games, you create your own species (or use the ones created by Paradox), explore the stars, expand by colonising new worlds, exploit resources available to you and exterminate bad alien species. The differences are in the details. Stellaris crams in a tonne of detail about the universe you’re in and gives you a dizzying array of options when it comes to the creation of your species. This means very different games each time you pick a new species to play. On paper, Stellaris sounds a lot like a regular old 4X strategy game. But look beneath it’s pretty surface and you’ll discover a game that’s much more dynamic than any other 4X game on the market currently. This sandbox/dynamic nature of the game is the gene it inherits from the Paradox Grand Strategy game stable. Right off the bat, you have a massive number of options to customise your created species. Have you ever heard of a Fanatic Pacifist civilization? Well you can play one in Stellaris. You select their traits. Are they intelligent, wasteful, conservationists or any of the other traits? The good traits use up your available trait points while the negative ones give you extra points. The second big thing to pick are ethics. This is basically how your species leans. Pacifist, spiritualist, egalitarian, authoritarian, materialist and more. The combination of traits, ethics, authority (this is the government type) and civics (an attribute of your species’ society) gives you an endless possibility of play styles. There’s even an ethic called Gestalt Consciousness. This was an ethic added in the Synthetic Dawn DLC enabling the creation of robotic factions with machine learning or creatures controlled by a hive mind. How cool is that! Playing these species would be completely different from anything else in the game. Stellaris isn’t a one note game. The focus and your experience will evolve as you playthrough a game. We can break it down to the early game, mid game and late game (you could argue there is an end game but that is not the focus of my article). In the early game, Stellaris starts off strongly as a game about exploration. You send out your scouts across the universe to survey different systems. Research the anomalies found in planets and planetary bodies. As systems are surveyed, new mysteries unfold. You’ll find new quest chains relating to a specific storyline. Completing this chain of quests will net some benefit to your species. To many, this is the best part of Stellaris. It absolutely nails the sci-fi theme perfectly. Mid game morphs into a game of diplomacy and warfare. You’ll meet other space faring civilisations. Some are friendly, others not so much. You’ll have to start building alliances that work to your advantage and pick out the weaker species. Late game brings new challenges. Wars with powerful fallen empires, unknown creatures from other dimensions, or attacks from a coalition of enemies hell-bent on bringing your empire down. You’ll have to reconsider your strategy at every point in the game. The richness of content here is fantastic. Great writing, unique stories, interesting factions. It is a sci-fi geeks dream come true. Which is why I’d recommend getting Stellaris with all its DLCs. Each one of them adds more depth and more interesting narratives to discover. You’d be missing out a lot of the fun without the DLCs. You are a sci-fi fanatic who is into Star Trek, Star Wars, Firefly, or <insert any other sci-fi film set in space>. You like to boldly go where no man, or cat species, or fungus, or avian has gone before (Trekkie confirmed) and expand your intergalactic empire. You like playing as your own species. Not a pre-created one or generic races. Your species. Your story. Probably the easiest Paradox grand strategy title to pick up and play. Because it’s the most 4X-like of all Paradox Interactive games, you’ll be able to get into it without much trouble if you’re familiar with 4X games. It has layers of more subtle mechanics that don’t really force you to master them. You’ll still be able to enjoy the game. Having said that, Stellaris has had a huge number of changes and addition over time as the team actively updates it. In fact, Stellaris has had massive reworks to how the some of the main mechanics work. In particular, how traveling across systems work. Stellaris today is a completely different game from the game that was released back in 2016. Finding updated guides might be difficult. However, A-Spec has done a tremendous job with his Stellaris 2.0 Beginner’s Guide. Set during the Victorian era, Victoria II lives up to the ‘grand’ in grand strategy. The game begins in 1836 and ends in 1936 – a time of great change. Technology was changing the way people travelled, while industries grew rapidly with new transportation modes. People around the world were becoming much more aware about their rights and freedom. There was social upheaval, and the birth of new nations. Victoria II is centred heavily on the economy and the simulation of the citizens of every single nation in the world at the time. Yes, every pop in every nation is simulated! I’ve written about Victoria II in a previous post. I called it Paradox Interactive’s most ambitious grand strategy game. Or some would say the ‘grandest of grand strategy games’. Unlike Europa Universalis which ends right at the beginning of Victoria II, more emphasis, love and care is put into the economy. Paradox Interactive included a world market which dynamically shifted and reacted to shortages and surpluses. The trade screen which displays the world price of goods, is probably one of the most intimidating screens ever created by Paradox Interactive. I swear it takes half an hour just to understand what is going on this screen. There’s information about the activity of goods, how much of movement or flow is going on any one particular good. There’s a helpful section that highlights your countries’ needs with the option of automatically setting just how much you'll stockpile from the goods you trade. The population screen is just as intimidating as the trade screen. It is a classic case of information overload as Paradox Interactive bombards you with all manner of information and details about the people living in your nation. There’s information about the breakdown of your workforce, their religion, dominant issues that matter to them, their ideology, and even the way they’ll vote. If that wasn’t enough your different pop groups origin and even their financial situation is simulated. Each employed pop gets a salary. So, the question is, what does all this complexity with the economy and population does for the game? 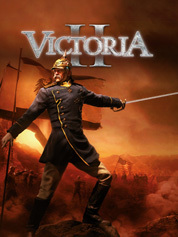 The answer, it sets up Victoria II as a game that’s so intriguing and endearing to Paradox fans. Physically and economically as new colonies are found, new ideas are formed & spread, wealth is created, and a new optimism begins to linger in the air. Victoria II is one of Paradox’s most intriguing games because of this. It displays the most important moments of human history. Of revolutions, emancipation and freedom. These themes reverberate strongly in Victoria II. Whether you lose or win, a game of Victoria II is sure to be memorable. You like games with a political theme and are about the people. You are an absolute history nerd that loves the optimism and rise of modern ideas during the Victorian era. You secretly like wearing a top hat, and growing a twirly moustache. Economics intrigue you. You thrive on making good deals and understanding the dynamics of the economy. Challenging. The amount of complexity and details included in Victoria II is mind boggling! As you’d expect, managing a nation of millions isn’t easy. Learning Victoria II requires a real commitment of time and energy. It’s going to beat you down with its deep mechanics and systems. But once the mystery has been unshrouded, Victoria II could deliver an absolutely remarkable story. Difficult to learn, but well worth your time. So, which Paradox game are you going to get? If you’re a Paradox grand strategy fan, which Paradox game would you recommend to a complete beginner? Which is your favourite and what did you love the most about it? I’d love to hear what you think about these games. I'd go out on a limb and say most of you like Crusader Kings II the most. Share you thoughts in the comments. Disclosure: This article includes affiliate links. We earn a small commision if you make any purchases from the links on this page. It helps us to maintain the blog and continue creating more awesome content.